For those in search of a jungle adventure, you’ve come to the right place. 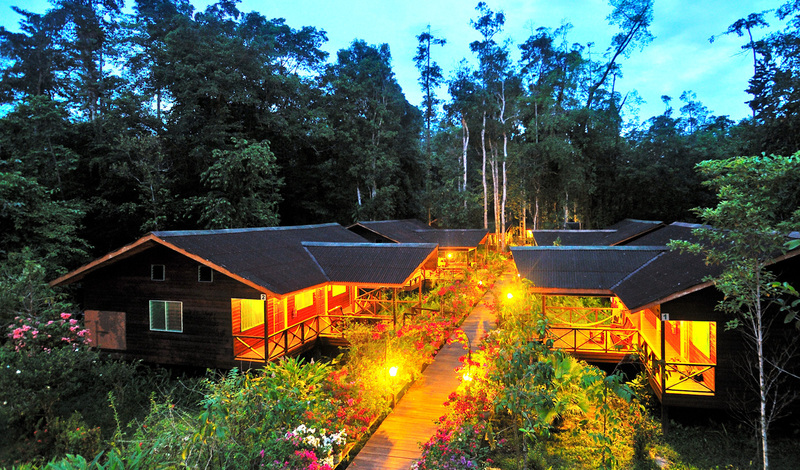 On Borneo’s northernmost tip, Abai Jungle Lodge offers an explorer’s paradise in the heartlands of the virgin rainforests of Sabah. Disappear into one of the 24 rooms here and be transported to a whole new world. Riverbanks illuminated by fireflies, wild orangutans swinging through the trees and lush rainforest on all sides—we literally have to pinch ourselves to make sure we’re not dreaming. Only accessible by boat, Abai Jungle Lodge nestles along the banks of the Kinabatangan River— the second longest river in Malaysia. From here you have the majesty of the world’s oldest rainforest at your feet, so believe us when we say it is well worth the trip. Guided tours through tropical forests teeming with wildlife extend in all directions, while Lake Pitas and the Sepilok Orang-Utan Rehabilitation Centre lie just a jungle cruise away. Choose from a number of timber chalets perched over the river on stilts and connected by a network of bridges and boardwalks. 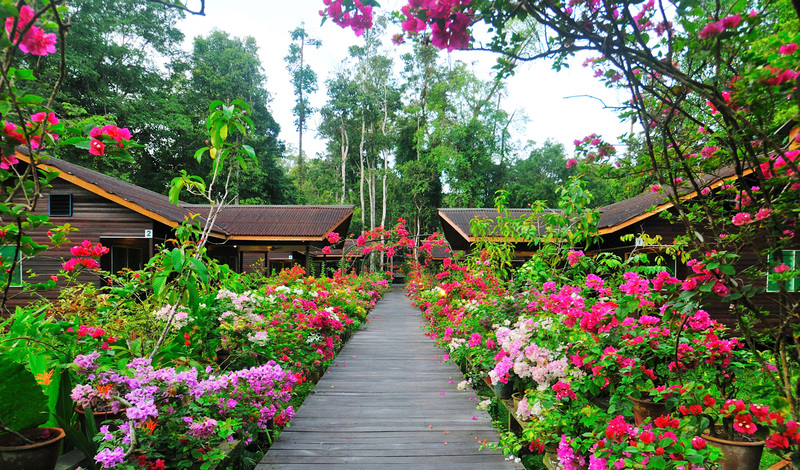 Each of the 24 rooms is simply furnished (remember, this is the jungle) with richly polished wooden floors and walls. Watch the sun disappear into the canopies through your window and fall asleep to the nocturnal serenade of the forest. With no other lodge for miles around, you can fully immerse yourself in the jungle experience (Tarzan eat your heart out). In the heart of the jungle, Abai Jungle Lodge gives you a true taste of jungle living with local delicacies on the restaurant menu and even the opportunity to join in with its tree-planting project with the Abai village community. Heart and soul; it’s our idea of the perfect adventure.